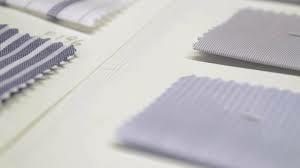 Since the 1970s the name of Alessandro Gherardi has been linked with the ultimate in shirt making. The Alessandro Gherardi Shirt Factory pursues a culture of quality, research and passion and shares this with all those involved in its mission. 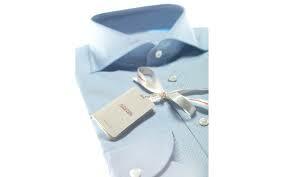 The classical combinations of style, elegance and formality are the values of this brand. 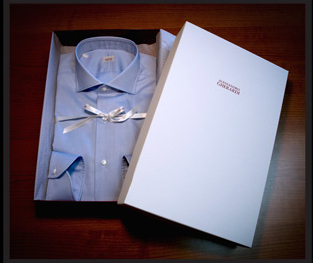 Exquisite made to order men’s shirts produced by methods of the latest technology without ever jeopardising tradition. The Alessandro Gherardi service features a choice of seven collars and four cuffs, along with more than five hundred fabrics to choose from provided by the most respected fabric manufacturers in Italy. Crafted from luxury cotton and available in a range of designs from traditional poplin to contrast collars and checked shirts, the Alessandro Gherardi menswear collection offers the perfect complement to any suit.